Does your dog have an itch it just can’t scratch? Explore the common causes of allergies in dogs and the options for managing reactions. One of the most common reasons for dogs to be taken to their vet is for itching and scratching. In many of these cases, the culprit is an allergic reaction. In fact, it is thought that one in five dogs suffer from allergies that can make their life miserable. It’s not pleasant when you’re cuddled up next to your dog and he’s constantly biting and scratching at his skin. It’s not fun for him either. Allergies not only make your dog’s skin red and itchy, but the trauma from his scratching can lead to secondary infections. The most common allergy that occurs in your pet dog is flea allergy. It doesn’t take many fleas at all to cause severe itching. 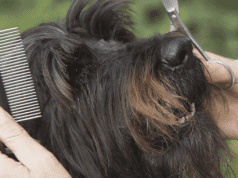 If your dog chews at his skin and hair enough, he’ll make it bleed and will also wear down his incisors. Atopy is an allergy to inhaled dusts and pollens, a bit like hay fever in people. Dogs may sneeze and have runny eyes, but more typically they have itchy skin and ears, and lick their feet constantly. This condition is usually seasonal to begin with, but over time it will eventually make your dog itchy all year round. Food allergy can be tricky to diagnose. 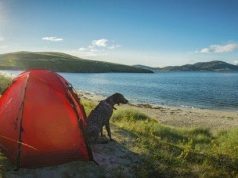 Many people feel that their dog couldn’t have a food allergy because there has been no change to his diet; he has been eating the same food for years. This is exactly the circumstances in which food allergy occurs. To check if your dog is reacting to something you are putting in his dinner bowl, you need to feed him something he hasn’t had before for 8 to 12 weeks. This can be a home-made diet or a prescription hypoallergenic food. 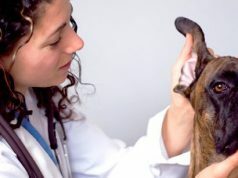 Your vet will suspect that your dog has an allergy based on their symptoms, and ruling out any other cause of itching such as mites or infection. 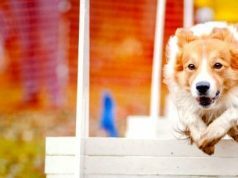 Food allergic dogs often have itchy ears and feet, while atopic dogs may also show signs of conjunctivitis and sneezing. Flea allergy sufferers have a fairly typical distribution of skin inflammation; you’ll see hair loss and trauma to their lower back, hind legs and tail. There’s no need for your dog to suffer from itchy skin due to allergies. There are several things you can do to make him comfortable. Medication such as corticosteroids and antihistamines will reduce the itching and inflammation in his skin. These can have side effects, so you need to weigh up the benefits and the risks. Antibiotics may be necessary if he has scratched his skin so much that it has become infected. Fatty acid supplements such as fish oil can have a natural anti-inflammatory effect and improve skin health. Atopica is a newer drug that’s used to manage atopy in dogs. It can take a few months until you see a response, so you may need to use other treatments until then. It has fewer side effects than other drugs. 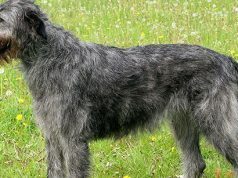 Oatmeal based shampoos and conditioners can ease itching and leave your dog’s skin and coat clean and soft. 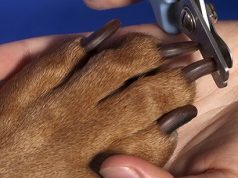 Desensitising injections can be developed after identifying exactly what your dog is sensitive to. These injections are given regularly so his body can learn to tolerate the allergen. If possible, keep your dog away from the substance he is allergic to. 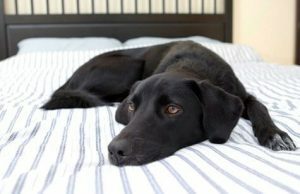 This means that you need to use good flea control, or feed him a hypoallergenic food, like Hill’s prescription diet Z/D. 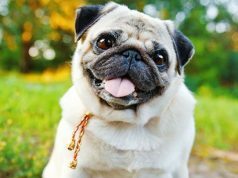 Unfortunately the chances of your dog’s allergy being completely cured are very low indeed, but there is much you can do to ease his itch and stop him scratching. With the help of your vet, you can work out a treatment protocol that controls his allergic reaction and keeps his symptoms in check. 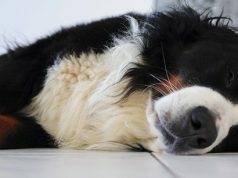 Next articleHypothyroidism in Dogs. Symptoms and Treatment. Feeding Your Dog Raw Meaty Bones: Is it safe?